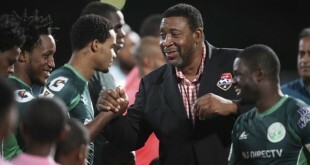 The Trinidad and Tobago National Under-23 Team did promise a strike. In the end, they produced two, although not quite in the way anyone expected. The young “Soca Warriors” could not hold on, though, as they eventually succumbed to a 4-2 defeat to Mexico in their final Toronto 2015 Pan American Games fixture today. 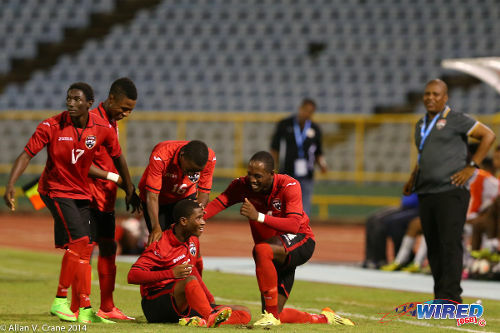 Photo: Trinidad and Tobago National Under-20 midfielder Aikim Andrews (seated) celebrates his goal against Curaçao with teammates during the Under-20 Caribbean Championship. It was another bizarre day for the young footballers who were plagued by managerial and other off-field matters from inception. 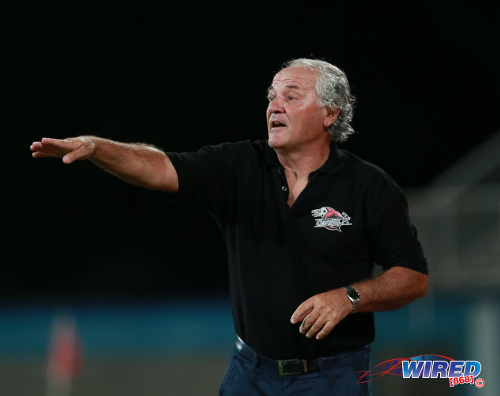 Even before their first training session, coach Zoran Vranes said he considered quitting because of a schedule change for their qualifying games. And, yesterday, the Warriors thought about hanging up their boots too due to frustration over unpaid match fees and per diems. Up to 3.30 pm today, just two hours before kick off, only 12 of the rostered 18-man squad agreed to make themselves available. At least two players, Duane Muckette and Neil Benjamin Jr, were known to have dehabilitating knocks while a third, Xavier Rajpaul, had left the team in mid-tournament to head for trials in Turkey. The coaching staff is understood to have been a bit suspicious about the other three reported injuries. There was no doubting the commitment of the Warriors who did play, though. Mexico barely knew what hit them! 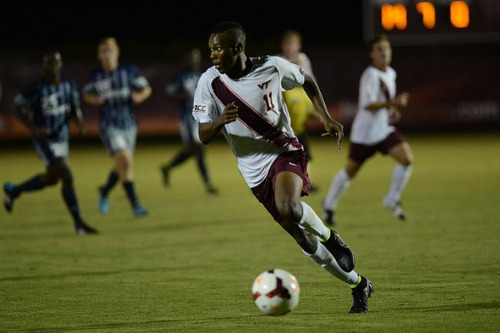 Photo: Virginia Tech striker Ricardo John. Ricardo John put the Warriors ahead after just seven minutes as he pounced on a rebound after Mexico goalkeeper Manuel Lajud spilled an attempt from teammate Shackiel Henry. And, as Mexico dominated ball possession, Trinidad and Tobago continued to counter with lethal intent. Henry, the Point Fortin Civic forward, doubled Trinidad and Tobago’s advantage in the 36th minute as he collected a pass from John and stepped in off the right flank before beating Lajud with a left footed screamer into the far corner. At that stage, Mexico had a whopping 61 percent of ball possession and already missed a chance to equalise from the penalty spot. Albeit it was a shocking decision by the Guyanese referee Sherwin Moore who spotted a non-existent foul on Mexican attacker Angel Zaldivar. But playmaker Jorge Espericueta dragged his penalty kick wide. At half time, the Warriors remained 2-0 goals ahead of their North American opponents. To put that into context, Mexico defeated Uruguay and drew with Paraguay in their earlier group matches. 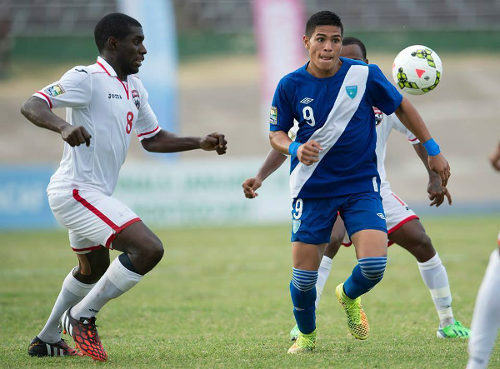 Trinidad and Tobago, on the hand, lost 4-0 and 5-1 respectively to Uruguay and Paraguay. It was shades of the Olympic qualifying tournament all over again when Trinidad and Tobago was eliminated after a 5-3 loss to St Vincent and the Grenadines. But, with the pressure off, then faced a Puerto Rico team that tied the “Vincey Heat” and annihilated them 5-0. Notably, two Trinidad and Tobago substitutes came on in the second half, which meant that one ‘injured’ player did have a change of heart during the 90 minute affair. But they could not quite pull off the upset this evening. In the 60th minute, Espericueta pulled a goal back for “El Tricolour” with a sweetly timed left footed volley from the edge of the penalty area. And, from them on, a Mexico recovery was only a matter of time. Daniel Alvarez found a pocket of space to equalise from close range in the 68th minute, as the Trinidad and Tobago defence began to feel the strain of chasing shadows. While Mexico’s winner and insurance items came in stoppage time as Marco Bueno and Martin Zuniga both headed in off Espericueta’s inswinging corner kicks. 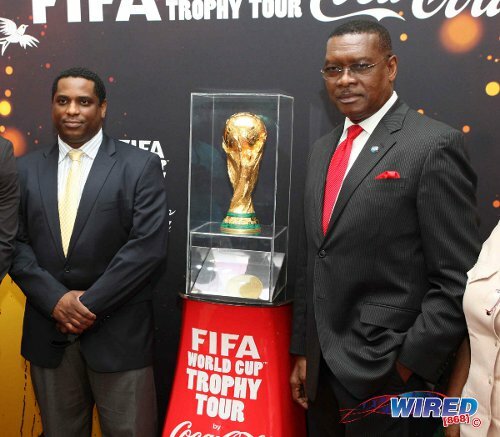 Trinidad and Tobago’s technical staff members were pleased what they felt to be an encouraging showing. Six of the Warriors are teenagers with five of them starting their first full season as professionals while John is student at Virginia Tech University in the United States. In contrast, nine of Mexico’s starters were either 21 or 22 years of age with between four to six years of professional football under their belt in CONCACAF’s top domestic competition. The preparation of the two nations, as always, was miles apart. 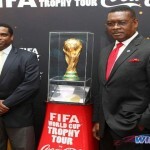 Trinidad and Tobago Football Association (TTFA) general secretary Sheldon Phillips promised that the football body will honour its commitments to the young players on their return. “The vast majority of the players are professional athletes,” Phillips told Wired868, “and we feel they should be paid as professionals who are asked to spend a long period of time away from their homes and families during their off-season. Trinidad and Tobago Under-23 squad (4-4-2): 1.Montell Joseph (GK); 2.Shannon Gomez, 3.Maurice Ford, 4.Jesus Perez, 14.Jelani Felix; 17.Aikim Andrews (5.Dario Holmes 84), 16.Alvin Jones (captain), 6.Neveal Hackshaw, 9.Nathaniel Garcia; 13.Ricardo John, 11.Shackiel Henry (7.Jomal Williams 69). Unused substitutes: 18.Jovan Sample (GK), 8.Tristan Hodge, 10.Duane Muckette, 15.Neil Benjamin. When will we go forward? Can somebody explain, how is joma sponsoring the senior soca warriors team but addidas is sponsoring the u 23 team? How is that even possible? 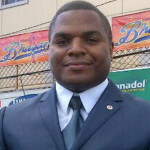 TTFA in a mess. Why every article I read they say they’re waiting on money from the Ministry of Sport? Its not the responsibility of the Ministry of Sport to pay the footballers. It’s the responsibility of TTFA! These crooks have no shame and I can’t believe some people sympathize with them. I fed up hear about Sheldon, Raymond, and the rest of inept characters of TTFA. Smfh. Kester Lendor, if we want to go back to our roots then at least two of these players must make it. Jabari Mitchell, Matthew Woo Ling, Tyrel Emmanuel and Duane Muckette. If two of them develop, we will have a playmaker again.